- antiseptic and anti-inflammatory properties which can fight the bacteria causing acne infections, thus reducing the swelling and redness. - known to tone and firm skin as it boosts circulation and the skin renewal processOver-the-counter soap contains chemicals that can be harsh on your skin. 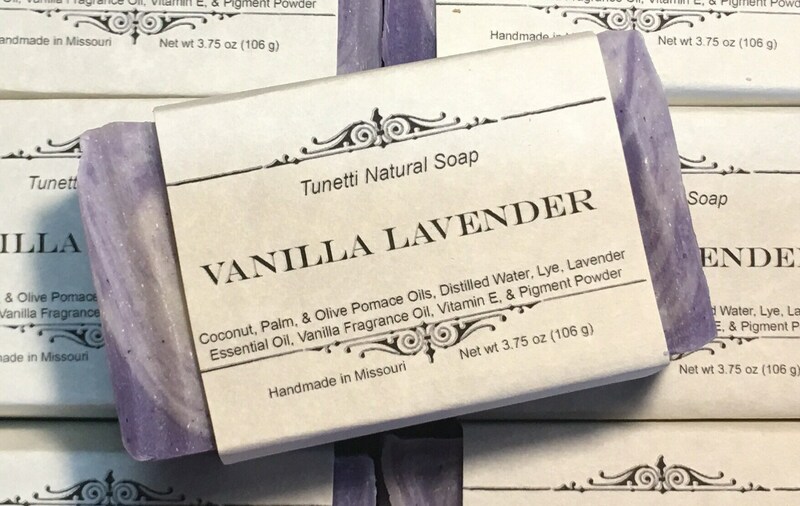 My soap contains coconut oil, palm oil, olive oil, lye, vanilla fragrance oil, lavender essential oil, vitamin E, and mica. Each bar weighs approximately 4 ounces. Individual bars will vary in size and color. I'm in love with these soaps! They're perfectly scented, naturally. No horrid perfume base. They last a very long time! And the price is great. Thank you so much for these beautiful soaps. I'll keep returning.